It’s playtime! One of the best ways to learn is in a group setting and we provide options to fit the needs and interests of as many kids as we can. Read below to learn about our offered classes. Summer registration is now open! Our summer programs will run the week of June 10th through the week of July 29th. Call our office or e-mail scheduling@strakaspeech.com to register or ask any questions about our Summer Group Programs. Note: We accept insurance, private pay and Developmental Pathways funding for groups. Families interested in Developmental Pathways funding are required to fill out this form for approval. The Preschool Playskills group is a therapeutic approach to social development. The group is a fun, interactive program focused on building skills in the areas of language, play and social development. It is designed to develop play skills, while eliciting age-appropriate language through natural opportunities for social interactions. Children will be engaged in a variety of adult and child directed activities, in order to develop language, articulation and social skills. These skills include, but are not limited to, joint attention, circle-time and waiting, turn-taking, sharing, and pairing language with nonverbal social skills. This social skills group focuses on building social relationships with children who just started or are about to enter school. This group is appropriate for children who are able to carry on brief back and forth conversations. Conversation maintenance and collaborative play skills are addressed, while developing peer relationships. There will be a focus on improving attention to peers, good listening skills, turn-taking, social language and strategies for building friendships—all during lunch & snacktime! Our social thinking groups will focus on ways to break down, discuss and implement abstract social concepts with middle-school and high-school students. Lessons are organized into categories that include friendship, perspective taking, self-monitoring, being part of a group, effective communication, making plans to be with others, problem solving and more. Practical life skills will be addressed through monthly field trips into the community. This social skills group is just like Lunch Bunch (see above), but for a different age group! This group addresses conversation maintenance and collaborative play skills while developing peer relationships. There is a focus on improving attention to peers, good listening skills, turn-taking, social language and strategies for building friendships—all during snack time! Our reading groups will follow the Orton-Gillingham methodology. New concepts will be taught each week for application in words, sentences and stories, to improve their reading fluency, writing, vocabulary and comprehension. Children will work together to become more confident, independent and knowledgeable readers. Handwriting Club is divided into groups designed to match specific skill and age levels. A small group size and interactive gym promotes a positive approach to learning an often difficult and challenging skill. Our certified occupational therapist will incorporate multi-sensory strategies and whole brain learning – featuring the Handwriting without Tears program. This club encourages young readers to discover great books, share new stories, explore important topics and have some bookish fun! From themed activities, comprehension discussion questions to interviews with authors, your child will find plenty of inspiration for a great dialogue! 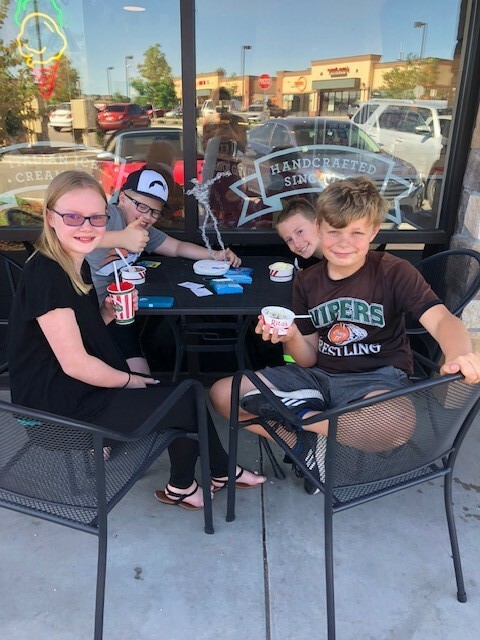 This group integrates peer support, discussion, fluency technique practice and desensitization activities to help build strong communication skills, all while having fun! Fun with Fluency combines indirect and direct therapies and integrates fluency shaping with stuttering modification, as needed.